I have heard it both ways- that fickle weather can inhibit… or encourage trout action. My personal experience tells me that most of the time quick weather changes make trout a hard target. 10 days ago that’s what we were facing, the sun peaked out in an otherwise rainy week. 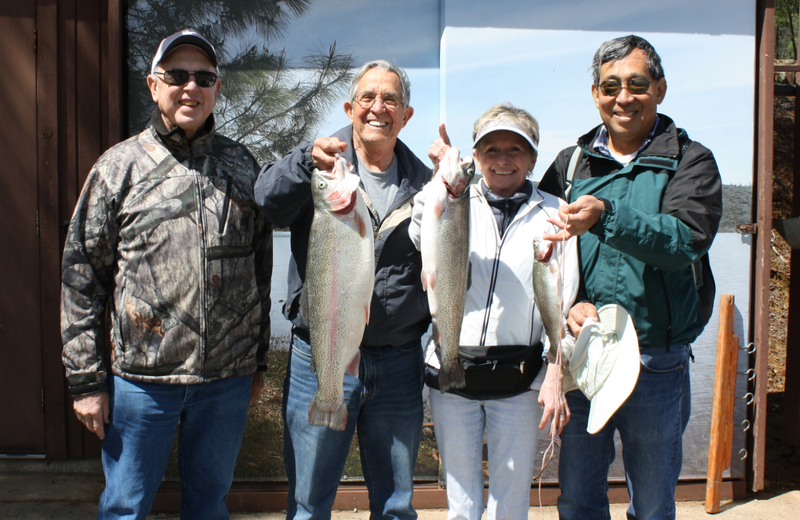 We spent about four hours trolling the surface down to 30′ and while the fish finder was lit we didn’t even get a bite- and with Western Outdoor news writer Paul Lebowitz on the lake I was disappointed to see that among the many boats that came out two Sundays ago, few had much to show for it. It was still a beautiful day and we enjoyed our time on the water. 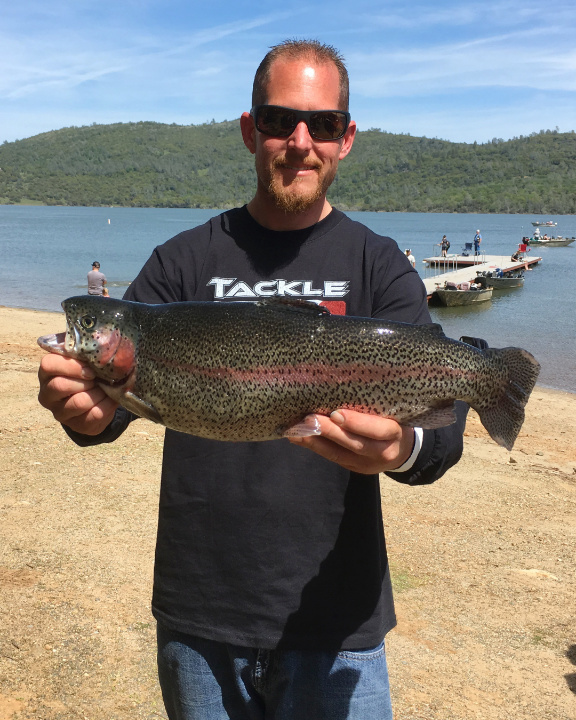 I’m happy to report that although we’re not yet seeing many limits, thing did pick up before last weekend’s NorCal Anglers arrived for their Saturday Derby. 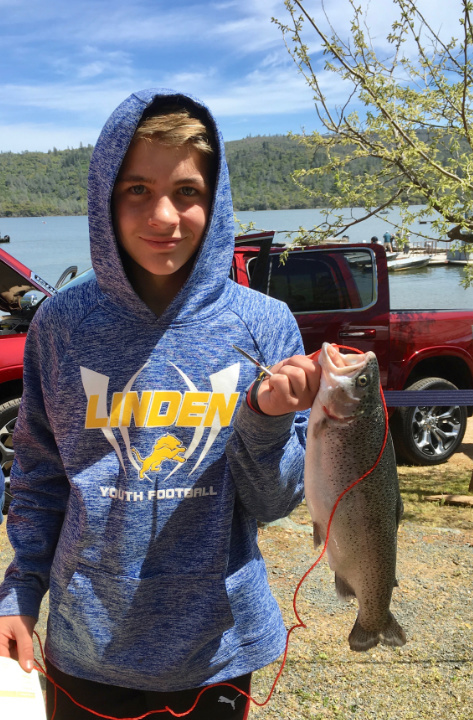 Dereck Carlson took the trophy for the kids division with a 3 pound trout. 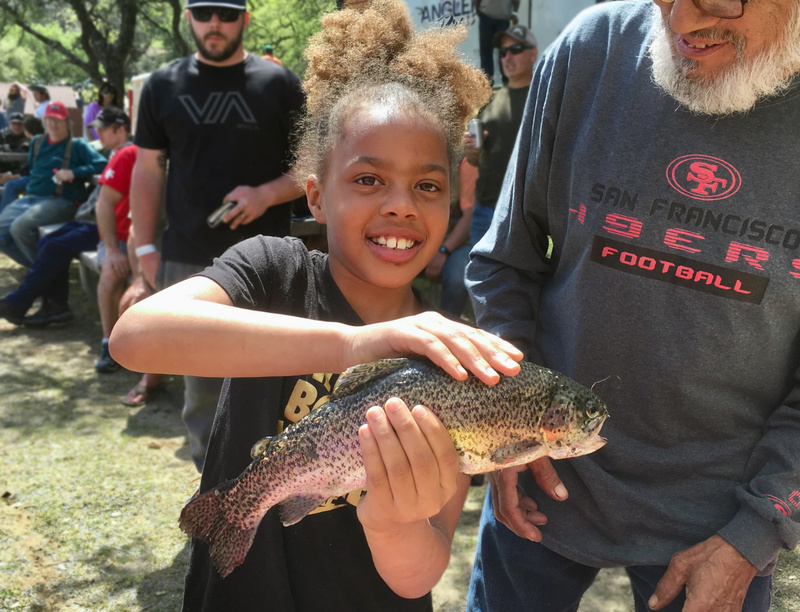 Journey Grant was all smiles with her hands on the trout she caught on PowerBait. And the Olson family had a fun morning on the lake with Thor & Genesis reeling in a 5 pound & 1 pound fish. 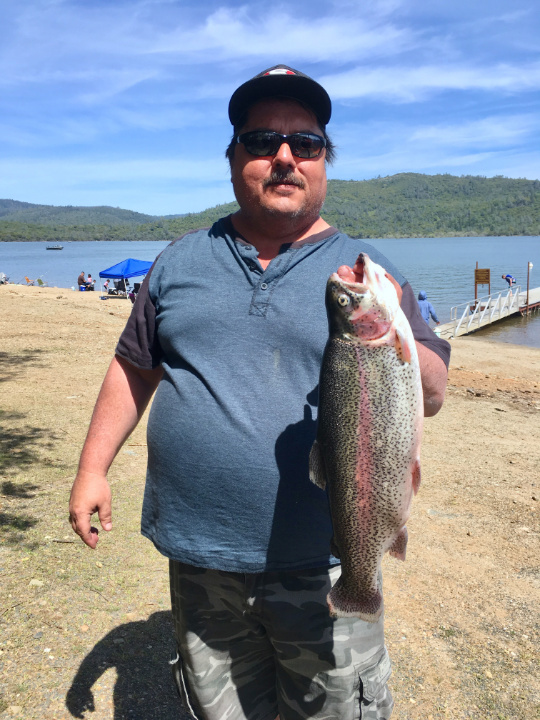 In the adult division we saw quite a few 5+ pound trout, long time Collins Lake fisherman Dave Soucy trolled a KastMaster near the surface in the SouthEast corner to catch this 7 pound rainbow trout. 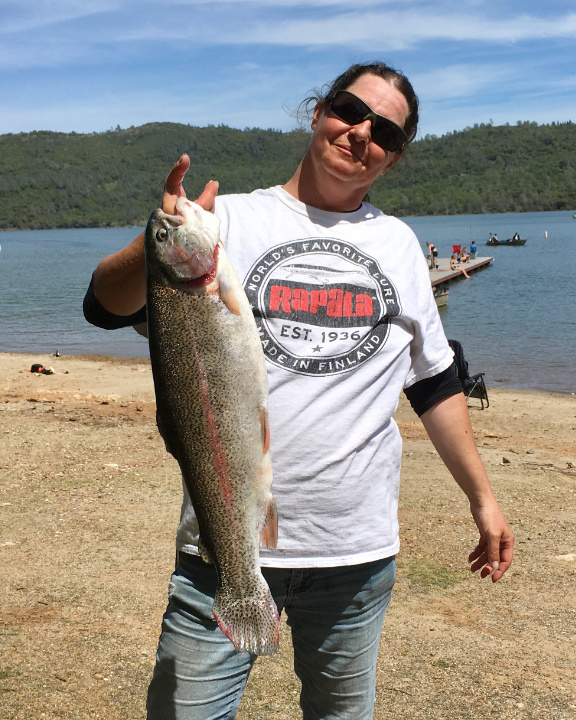 Kim Sidbers caught her 6.7lb fish on a grub at 11ft, Steve Leal was dragging a Rapala slow around 20ft down when he tempted a 6 1/4 pound lunker and Ryan Tomchick (top) rolling up the scales early with Rainbow he caught on a nightcrawler near the surface… weighing in over 8 pounds! 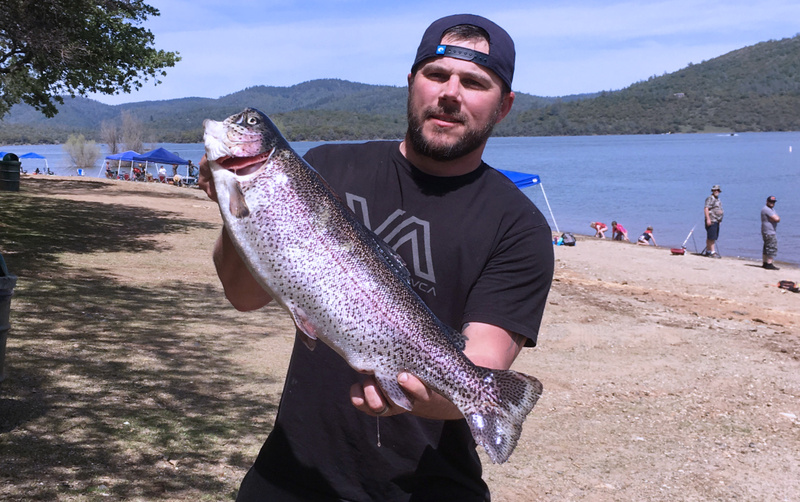 Although the competition only weighed in trout I saw a few large crappie as well all caught trolling trout rigs in less than 30ft. 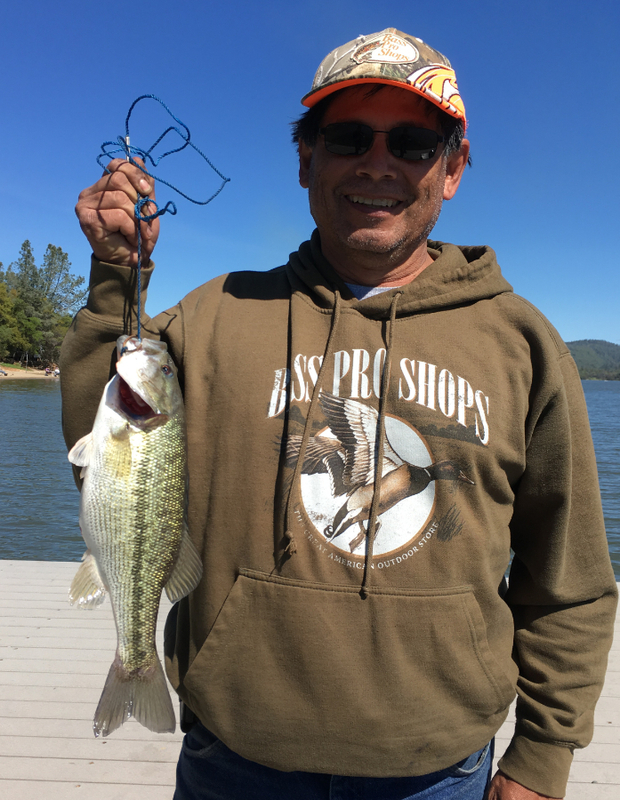 I don’t have a picture of it but Ed Elefante caught a crappie from his kayak on a crankbait! If you have a kayak or canoe, now through mid-May and again in September & October are the perfect times to launch! For one thing- it’s beautiful and most days are calm and for another fishing the top waters is productive all around. Crappie moving up from the winter deep are a harbinger of the lake’s shift to spring ecology. It’s not just a warming temperature, in spring the combination of recent inflows and more daylight with deeper light penetration mean dissolved oxygen in the top 30ft are at peak. All of this to say spring fishing is about to be in full swing. 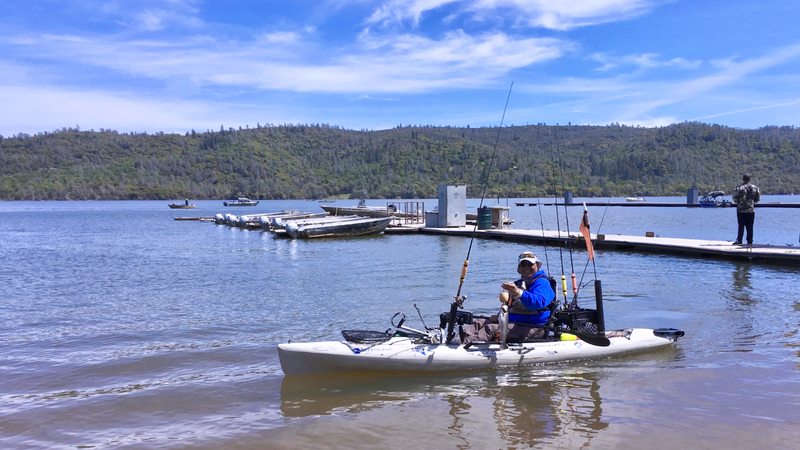 Here’s my hard sell… Did you know we rent Kayaks? 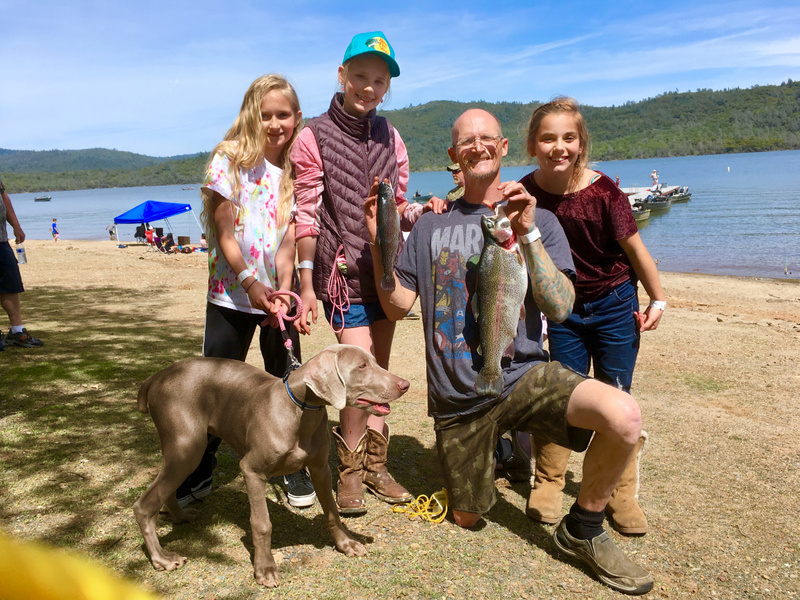 Aside from planted trout – and we continue to plant and release penned trout, thousands of pounds each week – it’s a great time to get on the water for pre-spawn bass. And we’ve got some beautiful fish to start the season with. My memories of bass fishing the coves at Collins Lake are not only of the fish but watching the pollen paint rings the still-submerged trees, wildflowers and dragon & damselflies. So the familiar yellow coat I see on my windshield in springtime is a timely reminder to get out of my daily grind and get out on the lake– If it sounds like an allergy nightmare, be encouraged that the brief rain last night cleared the air, and for the moment it is more beautiful than a Claritin commercial and I am outside with no Zyrtec needed. If you can take time off come up on a weekday, you won’t regret it! If you’re going to brave the weekend crowds anyway make it worth your while, sign up for a Derby!